India will go to the polls by May 2014 and a new government will have a chance to shape foreign and economic policy. The ruling Congress Party and its allies have been struck by what seems to be the new trend among democracies—a phase of gridlock as the electoral cycle closes in which little is done at the policy level. In the United States, the 2010–12 period saw such gridlock as the Republicans sought to make Barack Obama a one-term president. In India, the phase of gridlock began in early 2012 and led to major vacillation on part of the ruling coalition, on issues ranging from allowing retail corporations like Walmart and Tesco into the country, to the continued saga of selecting a new fighter aircraft. With the latter, India has chosen the Rafale but can’t pay for it at present and the other contenders like Eurofighter and Gripen continue to hope that the Indian government will change the Indian Air Force’s mind or a new government will do it for them. The most likely scenario, according to pollsters, is that the Bharatiya Janata Party (BJP) ends up as the largest party in parliament (although, well short of a majority) while the ruling Congress suffers a bad defeat—the forerunner of this trend was the election in Delhi state where a Congress government took a humiliating loss. The BJP and its allies won’t have majority numbers but may be able to horse trade and put together a more broad based coalition government. The other possibility is that a ‘third front’ of regional and communist parties forms the government but each of the leaders in this coalition—with the notable exception of the Communists—wants to be prime minister so the ability to form a government or sustain it for a lengthy period of time seems doubtful. Whether it’s the BJP and its allies or a ’third front’ that takes power, some clear foreign and economic policy shifts will take place. The three most likely of these are the federalisation of foreign policy, a three-year window for economic reforms that includes opportunities for foreign investors, and yet another charade of peace talks with Pakistan. Narendra Modi, the BJP’s prime ministerial candidate, has already called for Indian states to carry out their own foreign policy with a focus on one country—so Tamil Nadu would have its foreign policy towards Sri Lanka while West Bengal has a foreign policy towards Bangladesh. Modi’s statement comes because of the weakening of the Indian central government’s ability to provide the funds needed in different states for developmental efforts and because of his own personal external endeavours. Banned until recently from the US , Modi has visited China several times and seeks external investment in his state. If the federalisation of foreign policy on foreign direct investment and foreign institutional investment happens, it will lead to the type of decentralised economic growth that India so badly needs. 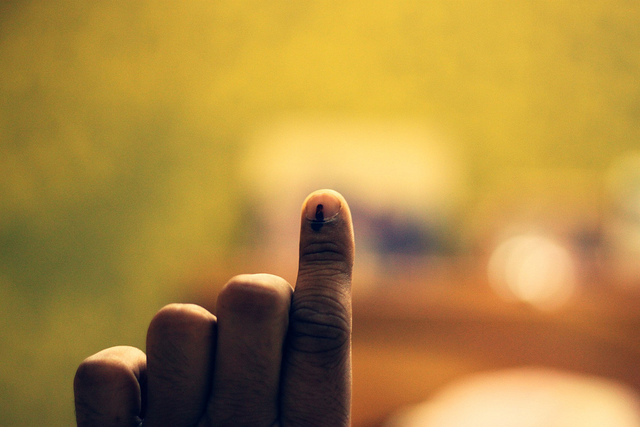 Given that India’s government has a three-year window before electoral gridlock sets in, we’re also likely to see bold economic initiatives in the period 2014–2017. There are several simple things that the government could do to jump start the economy, which grew at a disappointing 4.8% in 2013. It can open up the banking and insurance sectors to external investment, allow more aggressive foreign investment in infrastructure, and allow foreign universities, particularly community colleges and vocational schools, to come in and help boost the number of Indians with the college degrees that would actually make them employable in a globalised 21st century environment. Finally, there’ll be, once again, peace talks with Pakistan which are likely to go nowhere. India admits it missed the bus when it was hesitant to push the peace process with Pervez Musharraf. Since the Mumbai terror attacks of 2008 the talks have stalled. They’re likely to be further complicated as the situation in Afghanistan deteriorates following the US withdrawal. India is worried about the future of Afghanistan but has made it clear that it won’t insert troops or even supply weaponry to the Afghan government. Further, it lacks the credibility to forge a regional consensus that includes Pakistan or one that excludes Islamabad but brings about a short to medium-term solution that allows for a cooling off period. The focus, therefore, will be primarily economic since Indians are now impatient for good governance and respectable growth rates. For any government to be successful it’ll have to provide these demands to the Indian people—and quickly. Amit Gupta is an associate professor in the Department of International Security Studies at the USAF Air War College. The views in this piece are his and do not necessarily reflect those of the USAF or the Department of Defense. Image courtesy of Flickr user Yogesh Mhatre .